Damned this computer, having just typed all this out my 'pooter basically told me to p.ss off. Here AGAIN is some of Jersey's shite for you to enjoy, I saw much more but for one reason or another it was not possible to obtain photographic proof. Not really tat mor like Kit, however it is an SC not a TC and therefore the jury is still out. 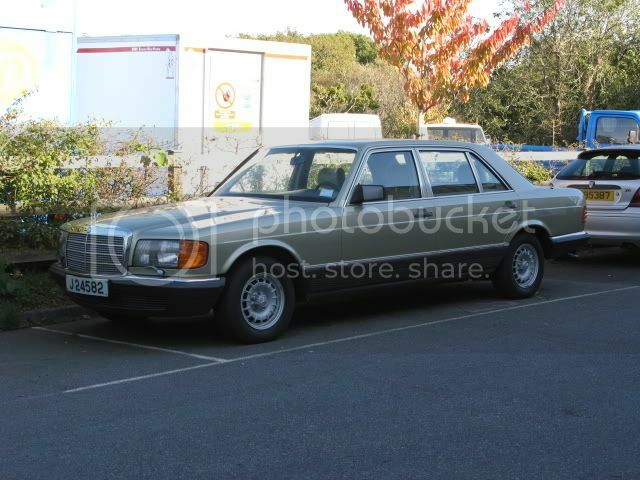 surely the only engine this should have has 8 cylinders therefore is it shite? Saw this and do I get a bonus for including the flanks of my E28 sharknose beemer? thought not. 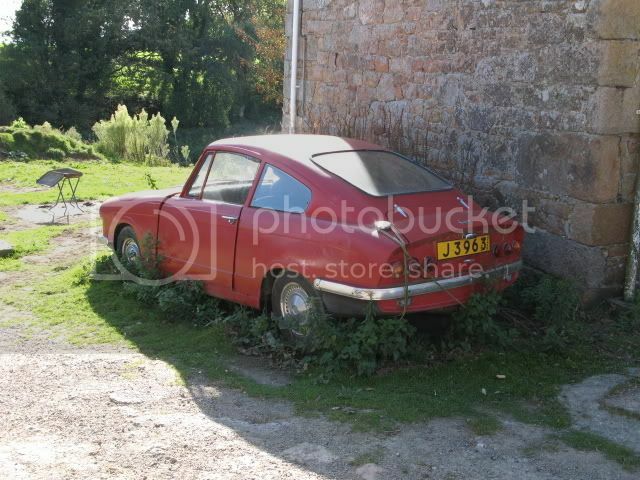 don't think this Maurice Minor is running anything special under the bonnet. 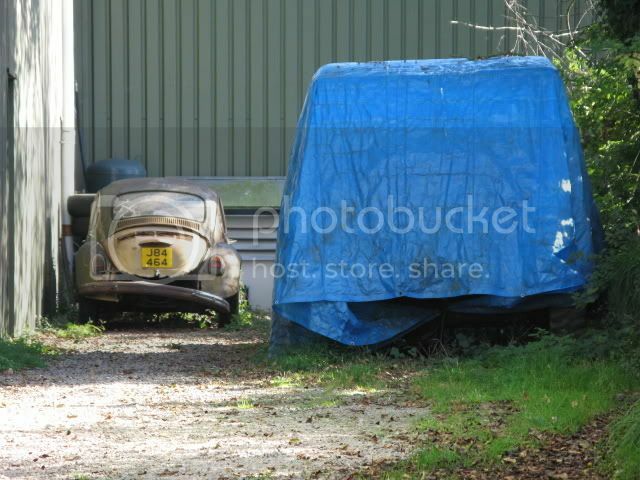 Simca 1100, this has been here for years and years, covered in thick dust I don't belive it has moved but the shelter keeping the bodywork tidy. did ask the owner if they would sell over a year ago but they said er no. 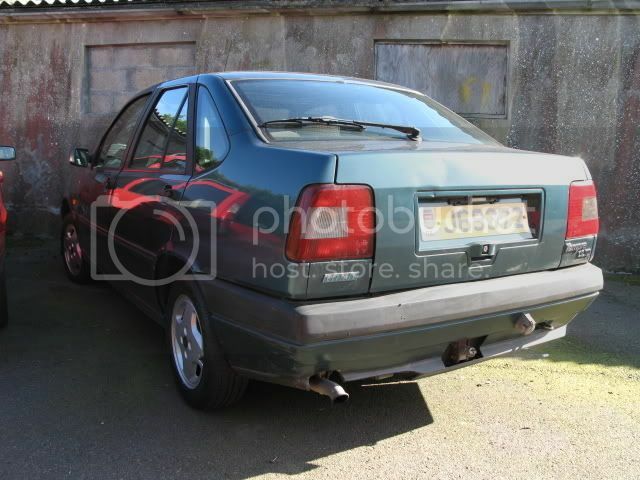 Fiat Tempra-unusual sight in Jersey or maybe because they were so dull note stupidly small cinq wheels-ridiculous. 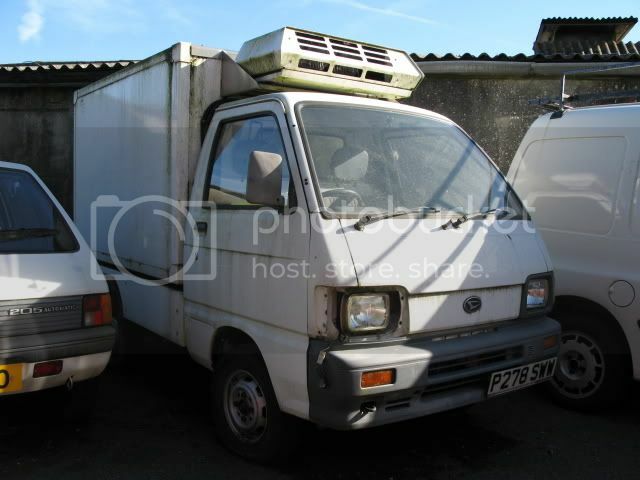 Daihatsu Refridgerated van, surely a small fridge on the back of a pick up would be better? ideal for transporting immigrants. 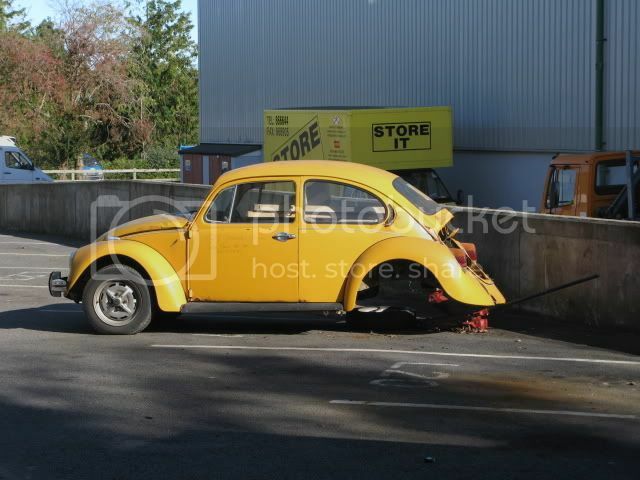 Beetle, whoever forgot to bolt the rear wheels/subframe on is thick as two short planks which is ironic as it contains....two short planks. Beetle bum and a tarpe tease. from memory the tarpe tease is some old wanky truck thing that you'd find in classic commercial magazine readers rides...probably. Mini van, nothing that some chiken wire and some puddin' wouldn't sort. possibly ex Water board??? brown doors from clubby and unusual alloys. 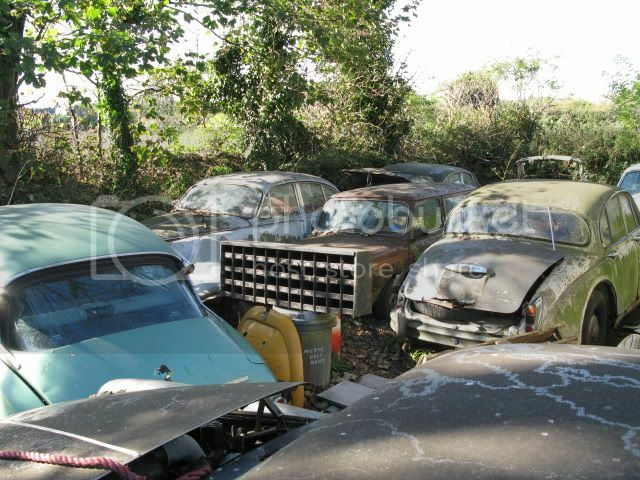 Plenty of Jag Mk2s here, and the black car nearest the camera? yep you guessed it... a Jag S-Type. 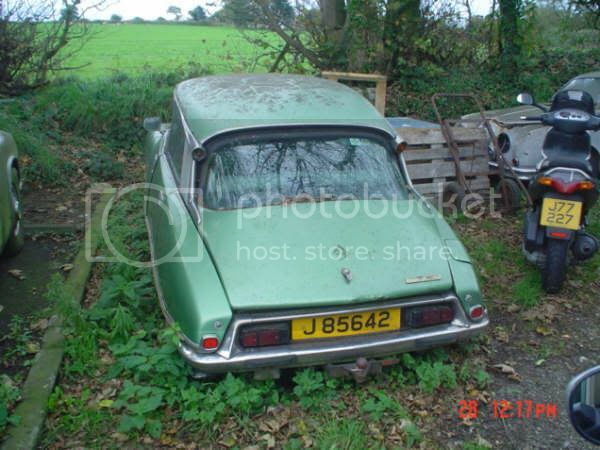 Love that Citroen DS, I understand the owner of this has another and this will only be used for spares. 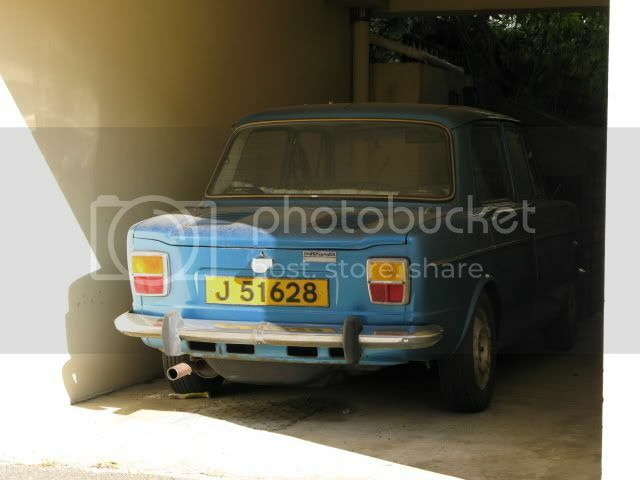 brown clubby wondering which bar-steward nicked his rear doors. 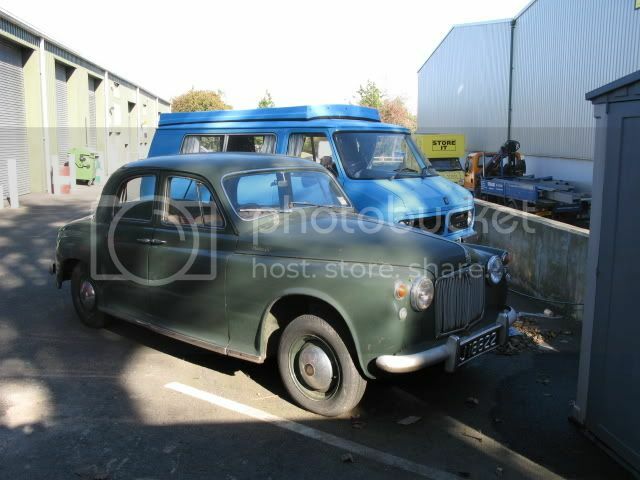 Rover P4 and Bedford Camper behind-camper already been spotted by mk2 craig. Nice merc next to a nice jag, the merc has loitered around here for years, rough enough to be tat in my book and ideal for intimidation. 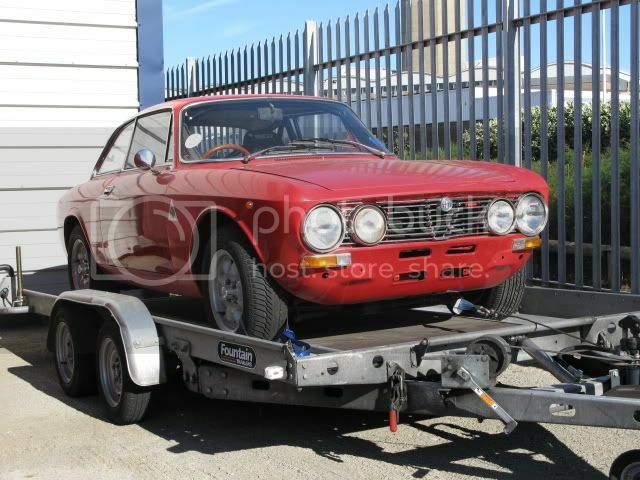 Love this big 280, LHD and when I spoke to the owner last year he said he'd sell it as its never used, these things are so solid and its been here years. 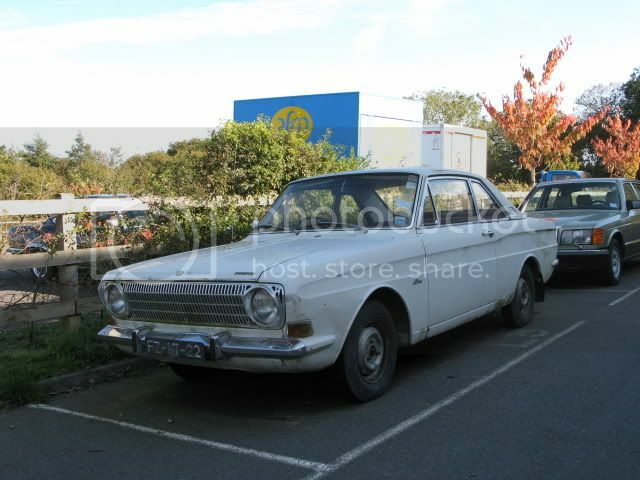 think mk2 craig also put this on-tis a Ford 12m (taunus?) nice if you like that sort of thing. 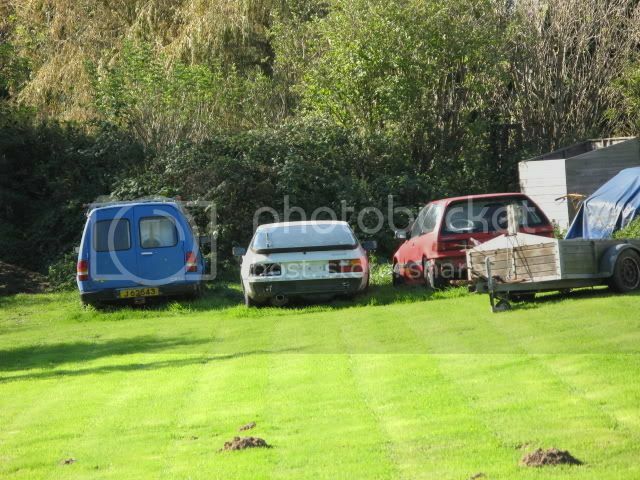 This trio of shite has been here some time, we are spoilt with the maestro van, the porsche 924 surely wouldn't have been rusty. the honda has been there ages. The name is Bond, this Bond Equipe was either Herald based or Vitesse based. fiberglass tat. This poor sixer has sat here year after year, I feel the owner should be locked in a cell with Michael Barrymore and buggered senseless. 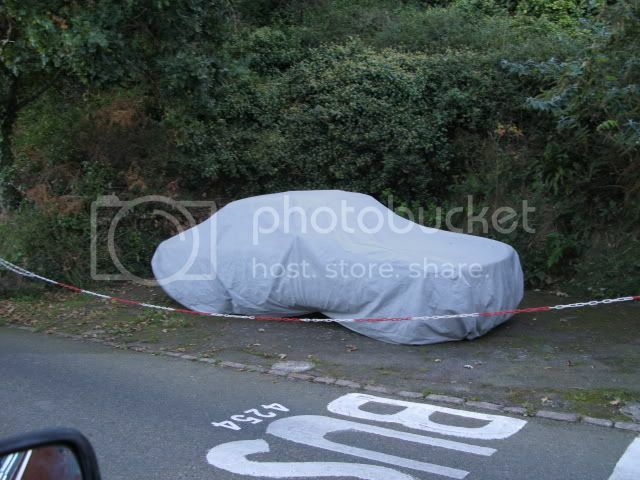 It probably ended up here because the owner didn't want to spend Ã‚Â£3.79 on a headlight bulb. I lie of course but you get the general idea. 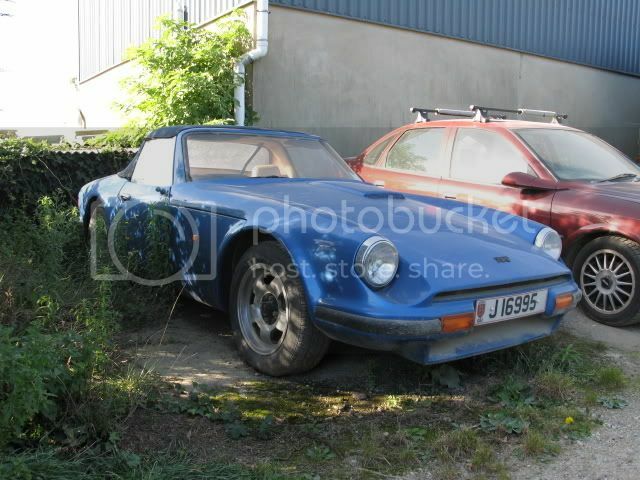 This nice coloured TVR has had it bad, first of all t'was born with two cylinders short now it is owned a a bloke who wants a ridiculous price for it. its sat here for years doing nothing-much better to let it deteriorate than to sell it at a reasonable sum and let it be looked after eh? 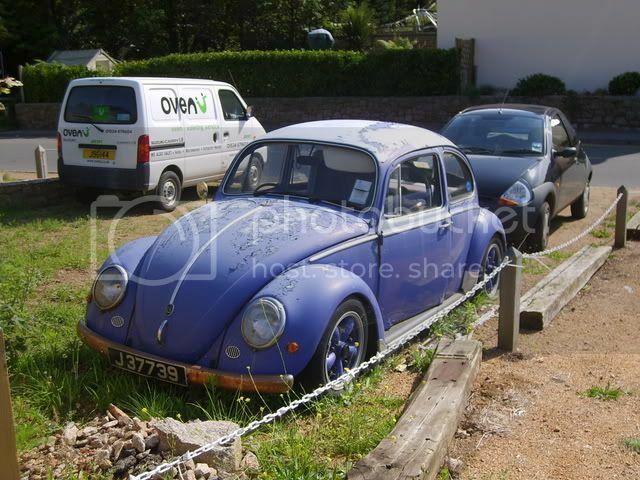 Thats all for now folks, mk2 craig-I looked but didn't see any mk2 fisters, a sad sign of the times? Wow you have been busy, only thing that you've beaten me to so far is that P6 which is right the opposite end of the island from me. 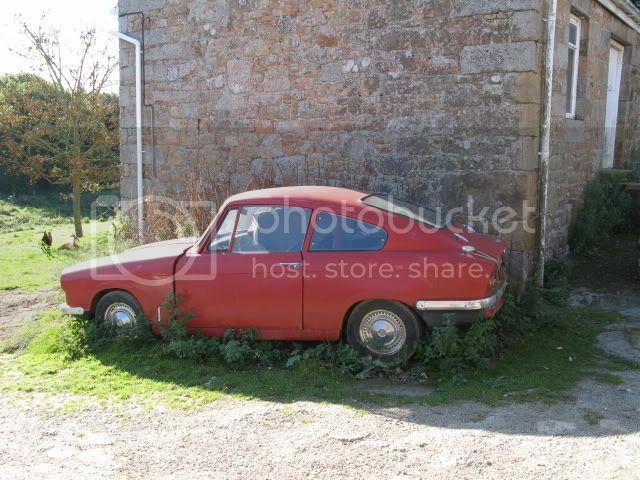 have you seen the unregistered MG X Power thing inside the building it's parked next to? I see that Tempra every day, there were quite a few used as rental cars circa 1993.
each bus stop now has a unique identifier code which you can use to get "real time information" by text. I'm guessing that's going to work about as well as a Renault automatic gearbox with no oil in. 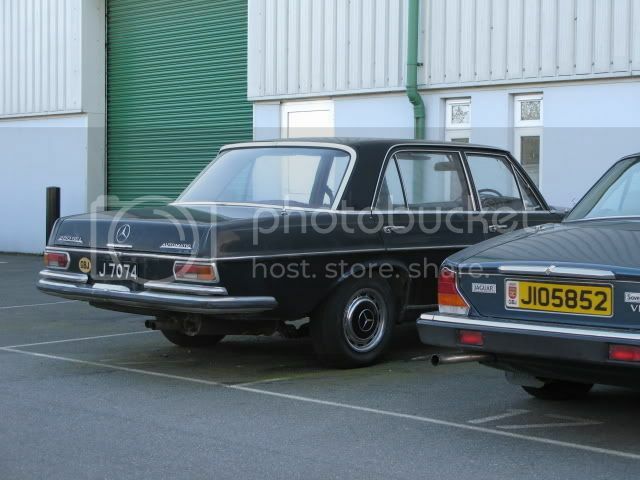 How on earth is that Taunus RHD? Amazing spots. Springside used to be shite heaven but there has been a massive cull. Damned this computer, having just typed all this out my 'pooter basically told me to p.ss off. Does that to me sometimes too....Particularly on the longer posts! I find it a good idea to "Copy" any large posts, just in case it doesn't send....Then You can just "Paste" and re-send it....It's saved a good deal of swearing here in the Baz household I can tell You! 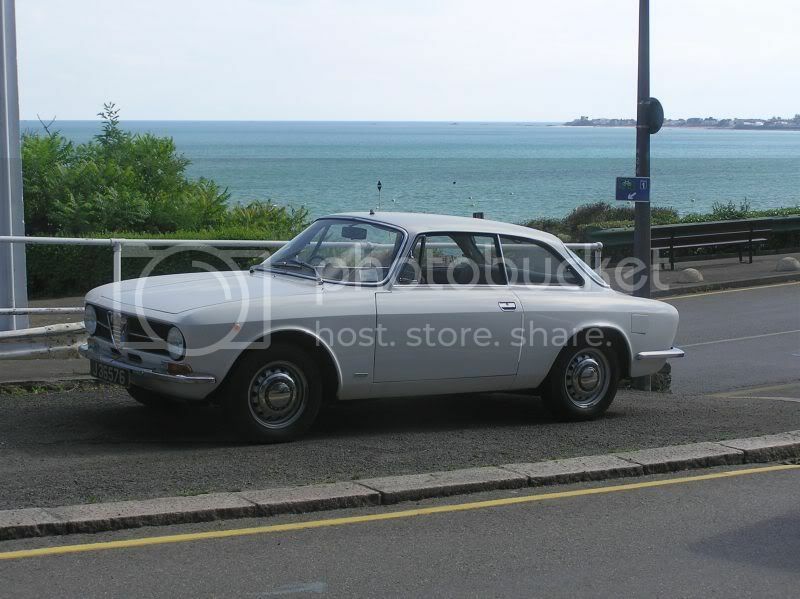 Some good spots....In particular this beauty....It is of course, a Simca 1000, not an 1100 (which was front engined, and front wheel drive)....But then, I expect You already knew that! Think 'twas me who posted this, together with aload of other stuff, after our trip to Jersey last summer. Not too familiar with Island localities, but think it was near Archirondel? 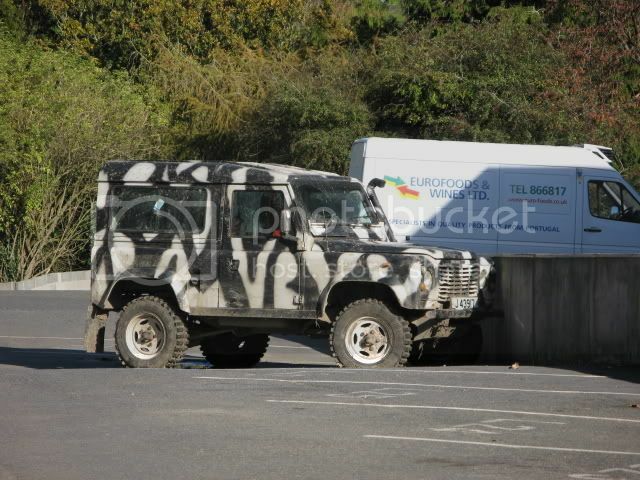 yes 55bloke the tarpe tease was at Anne Port which is between Archirondel and Gorey Castle (aka Mont Orgueil) he also has somewhere a reliant scimitar and having spoke to him a couple of years ago I can confirm that he has a beard and is a pleasant chap. 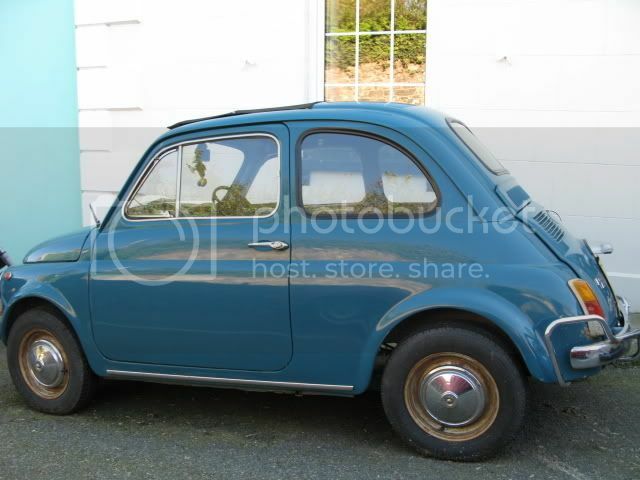 I had to laugh-you posted a pic of a blue renault 5 turbot-a mate owns it and loves it to bits so was a bit gutted to see you had seen it and immediately thought-SHITE! 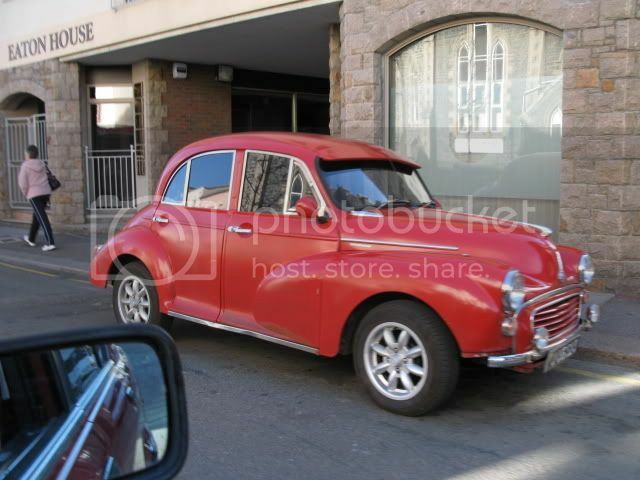 this was a very nice car untill a couple of years ago. Oops, sorry if I offended your mate, Meister! 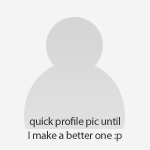 To be fair, just coz I posted a pic of the car on this site doesn't mean I consider it shite. On the contrary, I loved that R5, very cool looking motor!! I'm into old cars in general, not just the shitey ones!! Send him my appologies. Going back through this (and Daniel H's thread, there's a fair bit of stuff that I've caught on camera over the past few months... and a fair bit that I've never seen in my life! I recognise that pic!! Have to admit I envy you living on Jersey- lovely place! 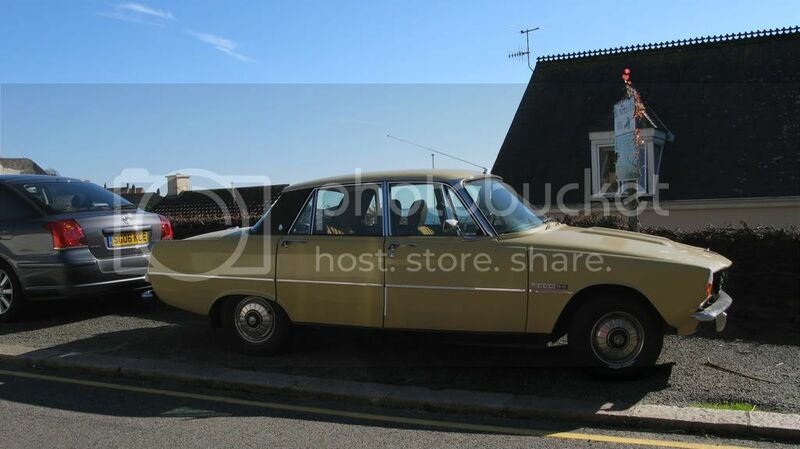 brown clubby wondering which bar-steward nicked his rear doors. 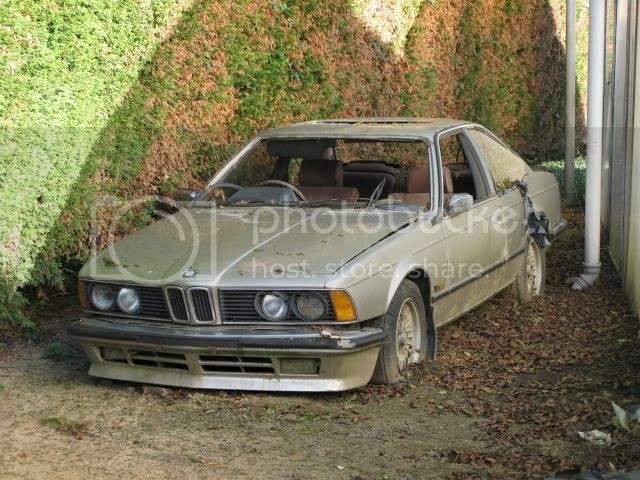 Hmm, I think they ought to add a photo which includes the drivers side sill area. area being the appropriate word!! 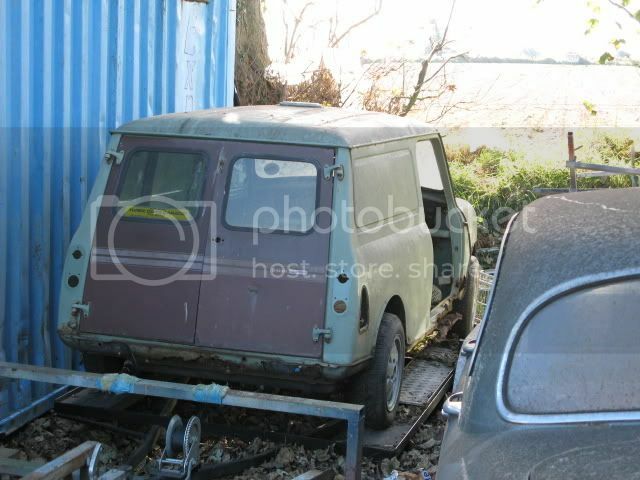 Well I saw this yesterday in a different location, I also may have caught a glimpse of it last September down a side street (though at the time I was sure it was a Fiat 128 saloon I was seeing but as I was running late for a boat turning back to investigate was out of the qestion sadly). Amazing survivor.